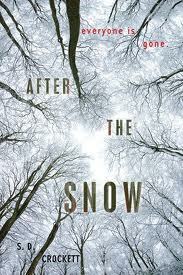 Set in the haunting and barren landscape of a new ice age, AFTER THE SNOW is the story of fifteen-year-old Willo, a ‘straggler’ kid who loses his family in the opening pages. Completely alone, he is immediately flung into an icy journey of survival, adventure, friendship and self-discovery – with only the dog spirit inside his head to guide him. Meanwhile, across Britain, outlawed followers of survivalist John Blovyn are planning an escape to the fabled Islands talked of in a revolutionary book . . . Categories: Dystopia, England | Tags: S D Crockett | Permalink.